Comprising 485 tastefully furnished guestrooms, each comes with thoughtful designer amenities for your comfort and pleasure. 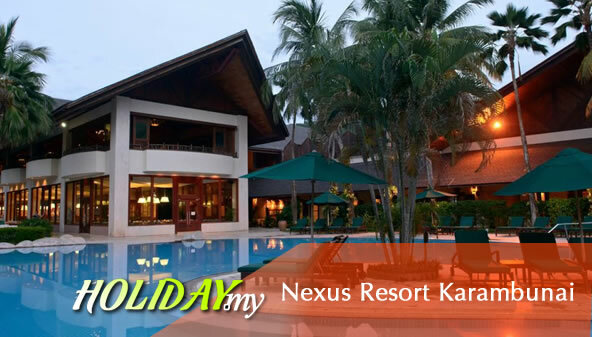 Guests can enjoy impressive views of South China Sea and lush greenery of tropical rainforest throughout your stay here in Nexus Resort Karambunai. The resort has won numerous awards and accolades since 1999 such as Distinguished Status from the Finest Golf Resorts Collection, Award of Distinction in Leisure & Resort Category and Prix d’Excellence Finalist in Leisure Category from FIABCI and many more.